Kurt Elling's "Dedicated to You" wins GRAMMY for Best Vocal Jazz Album! Bravo & many, many congratulations, Kurt! 1:00-4:00 pm PST Sunday, January 31.
or the archived podcast available on line through February. Kurt's GRAMMY Award comes about 1:25 into the show. and performed Billie Holiday's God Bless the Child with Lalah Hathaway. Watch Kurt's five-minute video about "Dedicated to You," with clips from the live performance at Lincoln Center where the album was recorded in January 2009. Songs include "Dedicated to You," "Autumn Serenade," "All or Nothing at All," and "Lush Life." "Dedicated to You: Kurt Elling Sings the Music of Coltrane and Hartman" is available @ Amazon. My dear friend, living legend genius Claus Ogerman, just won his second GRAMMY Award, the first one since his victory in 1980 for the arrangement of "Soulful Strut", from George Benson's "Livin' Inside Your Love" 2-LP set released in 1979. Now, in 2010, Claus was awarded in the category "Best Instrumental Arrangement Accompanying Vocalist" for his superb score for the title track of Diana Krall's "Quiet Nights" album. 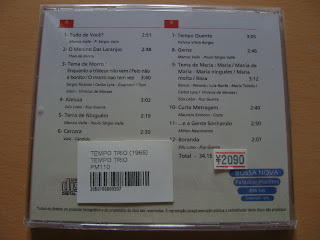 In the past four decades, Claus had been nominated 16 times, for his work on tracks by such artists as João Gilberto ("Besame Mucho"), Antonio Carlos Jobim ("Wave", "O Boto", "Saudade do Brasil"), Astrud Gilberto ("Day By Day"), Freddie Hubbard ("Lazy Afternoon") and many others, as well as for tracks from his albums as a leader. 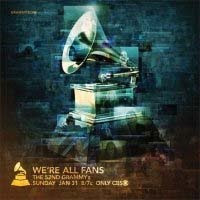 "Best Instrumental Arrangement Accompanying Vocalist"
This GRAMMY category nominates only Singles or Tracks. Amerika ist das Land des Showbiz. Und deshalb ist ein Spektakel wie die Grammy-Verleihung immer ein großes Ereignis im Fernsehen ebenso wie in der nationalen und internationalen Presse. Gestern Nacht ging im Staples Center in Los Angeles zum 52. Mal die Verleihung des wichtigsten Schallplattenpreises der Welt über die Bühne und es gab spannende, einmalige Musikmomente zu erleben. Ergreifend zum Beispiel war das Duett der Soul-Diva Mary J. Blige mit dem Star-Tenor Andrea Bocelli, zu denen sich außerdem der Filmmusik-Star David Foster gesellte. Sie hatten sich einen Klassiker des Songwritings vorgenommen - Simon & Garfunkels "Bridge Over Troubled Water", was bei dieser Gelegenheit übrigens auch ein Ständchen zum 40. Geburtstag dieser unsterblichen Melodie war – und gemeinsam bewegende Augenblicke vor die Kameras gezaubert. Der Erlös der Aktion kommt der humanitären Hilfskräften in Haiti zugute, eine Studio-Version des Songs ist über iTunes zum Download verfügbar. Und ein besonderer Link führt zu einem Video, in dem sich Blige und Bocelli über den Song und ein paar Dinge mehr unterhalten. Bei der eigentlichen Verleihung kamen dann Künstler zu Ehren, die wie Kurt Elling schon lange einmal einen Grammy verdient hatten. Bereits seit den späten Achtzigern gilt der Sänger aus Chicago als einer der besten und kreativsten Künstler seines Fachs. Nun darf er sich über den Grammy für das "Best Jazz Vocal Album" freuen, der ihm für das Tribute an John Coltrane und Johnny Hartman "Dedicated to You" verliehen wurde. Ebenfalls ein Grammy ging an zwei Weltmeister ihres Fachs, den Pianisten Chick Corea und den Gitarristen John McLaughlin, die mit ihrer All-Star Band die Zeiten des kraftvollen Fusion-Sound wieder hatten aufleben lassen. Sie bekamen den Preis in der Kategorie "Best Jazz Instrumental Album" für das Doppel-Album "Five Peace Band". Und dann ist da noch einer, der immer wieder in den Trophäen-Listen aufgetaucht, aber trotzdem zu den großen Unbekannten im Hintergrund des Tagesgeschäfts gehört. Denn Claus Ogerman hat sich nie in den Vordergrund gestellt, mit seinen Arrangements aber den Sound von Antonio Carlos Jobim ebenso geprägt, wie den Ensembleklang von George Benson. Nun war er wieder für Diana Krall am Werk und bekam einen Grammy für sein Arrangement von "Quiet Nights" aus dem gleichnamigen Album der Jazz-Diva. 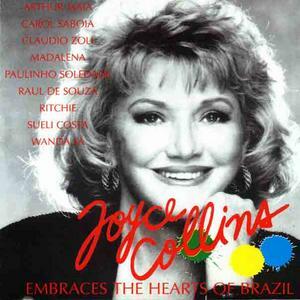 Reminiscences about Joyce Collins published by jazz historian Doug Ramsey on his essential blog. According to our records, you currently live in California's 30th Congressional District. Yesterday, the President stood in front of a gathering of House Republicans and took questions for more than an hour, urging them to put aside partisanship and work together for the good of the country. MSNBC described it as going straight into "the lion's den." He was inspiring.We've highlighted some of the key moments and trust me, it's worth checking out. Once you do, please pass this along to everyone you know. This is the sort of honest dialogue and political courage that we all need to move our country forward. 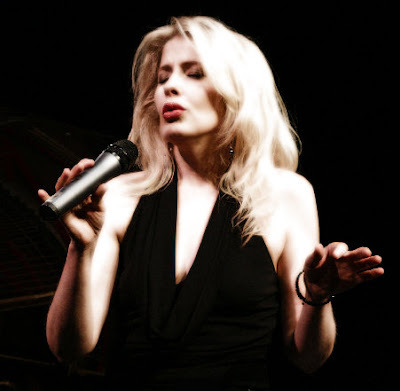 Jazz vocalist, Gina Saputo (pictured above by Christine Doumet), returns to Steamers this FRI night . The Eugene, Oregon born singer began her musical training at the age of seven in the prestigious Oregon Children's Choir. She has been recognized in Oregon's All State Choir, the All Northwest Choir, USC's Concert and University chorus, and the world famous Oregon Bach Festival Youth Academy Choir. 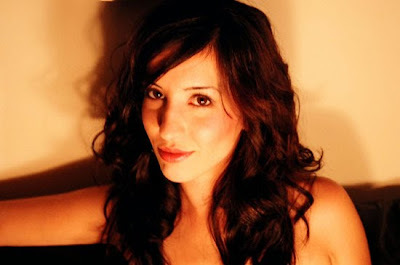 Gina was introduced to jazz by her father and quickly developed a passion for the genre. 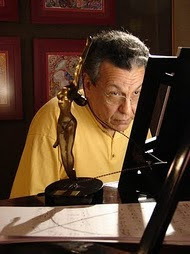 Brazilian pianist/composer/arranger Helvius Vilela Borges (pictured above by José Ricardo Velozo) played with such Brazilian artists as Miucha, Marisa Gata Mancha, Carlos Lyra, Nana Caymmi (having also performed with the Familia Caymmi group at the Montreux Jazz Festival), Paulinho da Viola, Baden Powell, Toquinho, Elizeth Cardoso, Milton Nascimento, Edu Lobo, Nana Caymmi, Chico Buarque, Nilvado Ornelas, Yana Purim, Paulo Moura, Carlos Malta, Vittor Santos, Chico Batera, Sebastião Tapajós, Baden Powell, Eliana Pittman, Taiguara, Alceu Valença, Tito Madi, Quarteto em Cy, Wagner Tiso and, most recently, Ana de Holanda. In the 60s, he was a member of the groups Tempo Trio (alongside Paulo Horta and Pascoal Meirelles) and Vox Populi. Vilela also recorded a cult album as a leader, "Planalto dos Cristais," engineered by Toninho Barbosa at Sonoviso Studios and released as an independent project in 1982. 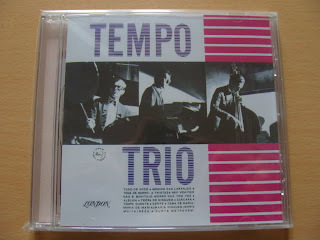 The self-titled "Tempo Trio" album, recorded for Odeon's London label in 1965, includes Milton Nascimento's first recorded tune, "... E A Gente Sonhando," and was reissued on CD in 2006 by the Paradise Masters label. "Vox Populi", originally released on the Musidisc label in 1969, re-appeared on digital format by the London-based label What Music, featuring Helvius Vilela, Fernando Leporace, Guto Graça Melo, Gegê de Souza, Laudir de Oliveira, Amaury Tristão, Tavinho and Marisa. まさにジャズ・ボサ黄金期を謳歌していた1965年当時、ピアノ・トリオ最高峰の一つと謳われた伝説的グループ「テンポ・トリオ」の激レア・アルバムが遂に世界初CD化!! テンポ・トリオは当時のジャズ・ボサ・シーンの中心であったリオ、サンパウロではなく、後のブラジル音楽飛躍の一翼を担うミナス・ジェライスで結成。メンバーは現在も活躍する名手パスコアル・メイレリス(dr)、ロー・ボルジェスで知られるミナス音楽名家ボルジェス・ファミリーのピアニスト、エルヴィウス・ヴィエラ・ボルジェス(※後にVOX POPULIに参加)、 そしてトニーニョ・オルタの実兄パウロ・オルタ (ベース)というサプライズ的な強力布陣。レパートリーは同時期にジョンゴ・トリオの演奏で一世を風靡した名曲 「O Menino Das Laranjas」をはじめ、エドゥ・ロボの傑作ボサ「Aleluia」「Boranda」、マルコス・ヴァーリの「Tudo de Voce」「Terra de Ninguem」など、セレクトの素晴らしさは折り紙つき。ボッサ・トレス、サンバランソ・トリオなどに匹敵する、ハード・ドライヴィングなバランソで揺さぶるJAZZYな空気が全編を駆け抜ける至高の逸品。オリジナル・アナログは未だに$400前後の高値で取引されるという希少性の高さも含め、まさに禁断のCD化と言える超注目アイテムの登場!! Chick Webb and Chu Berry. careers were cut short. This film will expand our cultural heritage for this internationally renowned art form. The film will be produced and directed by Howard E. Fischer, an attorney who represented jazz musicians and arts organizations and was the founder of the New York Jazz Museum in 1972 and its Executive Director until 1977. He also produced, wrote and directed the acclaimed film THE HOLLAND AVENUE BOYS: A SUCCESS STORY that appeared on over 50 PBS stations. DanMorgenstern, Director of the Institute of Jazz Studies at Rutgers University, a renowned jazz historian, author, editor, and archivist active in the jazz field since 1958 will be a consultant to the project. for family members, musicians and others who knew them are sought. The Discovery Channel invites you to participate in an extraordinary, once-in-a-lifetime experience: in the second season of this critically acclaimed docu-reality series deemed a “social experiment”, a group of eleven strangers must co-exist in a simulated, post-apocalyptic world. The world as you know it is gone – there is no water, no food, no communication, no power. It’s now up to you and eleven strangers to fend for yourselves as you rebuild society and re-engineer the world as you once knew it. This Sunday Afternoon - RSVP through Meetup link to save your seat. When: Last Sunday of each month! In a group environment, Lisa will read for the audience, delivering messages from Angels, Spirit Guides, deceased loved ones and more to those that attend. Please realize when attending there is no guaranteeing who will show up for you as we are working with Spirit . Make sure to bring your pen and paper to the group if you would like to take notes. Los Angeles vocal collective, Sonos (pictured by Beth Herzhaft), was featured on NPR's Weekend Edition last Sunday. Listen to an archive of the performance & interview with NPR's Liane Hansen at npr.org. You can catch Sonos on tour. Visit their MySpace page for a list of dates. Sonos' debut album, "SonoSings," was released last September by the Verve Forecast label. Sonos was voted among the best acts of the year in the 31st Annual Jazz Station Poll. You can order the album at iTunes and Amazon. The stellar vocalist Dewey Earney has been on the Southern California jazz scene for 25 years. He has 8 critically acclaimed CDs released, with several more in the works. His vocal knowledge of the Great American Songbook is almost unparalleled. Dewey has appeared at Steamer's Cafe monthly for nearly 7 years. 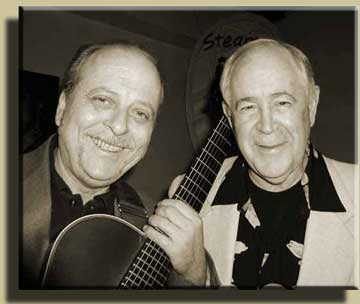 Few artists have been part of Southern California's jazz scene longer or with a more loyal following than vocalist Dewey Erney and guitarist Ron Eschete. Ron, with numerous recordings to his credit, both as preferred sideman and leader, has achieved well-deserved international acclaim. With his seven-string guitar and sensitive accompanist skills, he lays down the perfect foundation for Dewey's critically acclaimed treatment of the best of America's popular vocal literature. Appearing with these Steamers favorites will be Luther Hughes on bass and Paul Kreibich on drums. While Escheté has long been regarded as one of the finest guitarists in mainstream jazz, he now ranks as an innovative leader for his work with this ensemble. "The Escheté trio is as polished as the classic Modern Jazz Quartet... This is a unit that speaks with a single voice. It is a voice of brilliant musical reason." - Jim Merod, Jazz News. What is most unique about the sound of this trio is the depth and texture created by the coupling of Eschetéís seven strings with Johnsonís six strings. The outcome is "a rich tapestry of melody, harmony and teamwork," says Hal Howland for Modern Drummer Magazine. As an integral member of this critically acclaimed jazz trio, Johnson excels as both a supporting musician and a seasoned soloist. He is consistently cited for his contributions of skill, originality, and versatility, as well as his ability to sound as if he is simultaneously playing multiple instruments. Group leader Ron Escheté says "Todd... can sound like a second guitar player or even an organ or electric piano." Zan Stewart of the Los Angeles Times writes that Johnsonís six-string bass along with Eschetéís seven-string guitar "give the musicians an amazing range of sounds and approaches." 20th Century Guitar Magazineís Jim Fisch calls it "a delight to witness the telepathic communication between Todd and Ron seamlessly dovetailing their carefully crafted improvisation." The group is repeatedly hailed as the trio that sounds like a quartet. Jim Merod, Jazz News says that with this group "the dedicated listener finds genuine jazz - melodic beauty joined to harmonic perfection." Melody Gardot was featured on last Sunday's CBS Sunday Morning. In case you missed it, be sure to check out the inspiring segment featuring Melody discussing her recovery from a terrible 2003 road accident and her use of music as a therapeutic lifeline. Watch the archive of the appearance at cbsnews.com. To date, Melody Gardot has sold over one million albums worldwide. She has been nominated for three Grammy awards and voted Best Jazz Album of 2009 by the London Times. 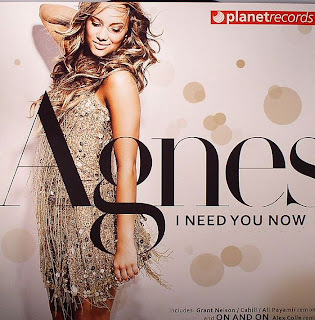 Her CD can even be found in the locker room of Vikings football quarterback Brett Favre. Melody will be touring Australia and Europe this February, March & April. Visit her website for a list of dates. ABC's "Extreme Makeover: Home Edition" is casting! Extreme Makeover: Home Edition is casting all around the country. Can you help spread the word and nominate someone??? We need families who have amazing stories that inspire with a dire need for a new house. Help us find the right family. Trumpeter, composer, and arranger Frank Cano a native of Ciudad Juarez, Mexico recieved his music studies at California State University Long Beach and has gone on to perform with many diverse artist in The United Stated, Canada, Mexico and Asia. Frank performed for 3 years with legendary conguero Francisco Aguabella with Roberto Torres, Ralfi Pagan, Tony Orlando, Jose Feliciano, Marisela. For three years Frank was the musical director for the Nosotros/Golden Eagle Awards Show. Frank's debut CD "A Beautiful Day/Un Lindo Dia" has been very well recieved in the U.S., Latin America and Europe. "I hope you'll join us for our shows at the Culver City Radisson this Friday. I am thrilled to be a part of this weekly jazz series produced by Merle Kreibich," says Holland. With the demise of the Jazz Bakery, the Culver Club is the only jazz "listening room" on L.A.'s west side." Acclaimed jazz vocalist Sony Holland, who recently relocated to Los Angeles, will be performing at the Culver's Club for Jazz (aka Catalina Bar & Grill) this next Friday, January 29, backed by Theo Saunders (piano), Tony Austin (drums), Larry Koonse (guitar), and the legendary John B. Williams, who has worked with everyone on the jazz scene - from Louis Armstrong, Horace Silver and Dizzy Gillespie to Airto Moreira (on the fabulous "Identity" album), Jon Hendricks, Johnny Hammond and, most recently, Natalie Cole. About her bassist on this gig, the one and only John B. Williams, she states: "I have seen him play with Nancy Wilson several times as she is one of my favorite singers, so I'm excited to be working with him." Btw, Sony has been compared to Nancy as well as to June Christy and Peggy Lee. It's easy to notice an influence of Tony Benett too. "Sony Holland has a warm deep voice and a very clear tone. One can always understand the words she is singing yet she is not shy to improvise," the renowned jazz writer Scott Yanow once wrote. "Repertoire for my show will be a wide mix. Like many singers I am including more contemporary songs into my show along with the standards," she tells us. "So along with songs by Harry Warren, Johnny Mercer and Duke Ellington, there will also be songs by Rufus Wainwright ("Sansoucci"), Bob Dylan ("All I Really Want to Do"), and even a jazz/reggae version of a song by Carla Bruni & William Yeats, "Those Dancing Days Are Gone." Also, I sing a few wonderful original songs written by my husband Jerry Holland (originally from New York City) though he has written a #1 Billboard Country song" ("Friends,” recorded by John Michael Montgomery.) Hope she will also include Hoagy Carmichael's "The Nearness of You" (the theme song of Arnaldo DeSouteiro's radio show at TUPI-FM during the 80s, in a recording by Roland Hanna) and Jobim's "Meditation" on the setlist. The fifth album and first new solo record in four years from Jamie Cullum, "The Pursuit," will be released in the U.S. on March 2, 2010. 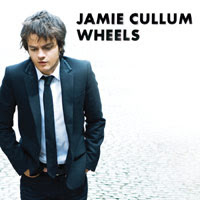 Jamie has just released a new single from "The Pursuit": a track called "Wheels" and it is available on iTunes now. The first single, "Don't Stop The Music," from the new album is also available at iTunes. Jamie, who has been dubbed "a one man British invasion" (Hollywood Reporter), has announced a series of U.S. tour dates in March to coincide with the U.S. release of "The Pursuit." After his string of U.S shows, he will travel to Japan in April and Europe in May & June. Visit jamiecullum.com for the list of dates. Like the exploding piano on its cover, the long-awaited new album "The Pursuit" blows away audience preconceptions with 14 smoldering tracks that seamlessly run the gamut from swinging standards and yearning singer-songwriter confessionals to 125 BPM house dance tracks and resurrected Broadway ballads. Pre-order "The Pursuit" from Amazon. Sign up to receive news updates on Alan Hewitt and receive a FREE download of "Shaft" from the new Retroactive album. Click here. CD of the Day - Saltman Knowles: "Yesterday's Man"
"Jazz combo Saltman Knowles has proven themselves a sophisticated, cohesive group that straddles the line between traditional and contemporary jazz. Their sixth release, Yesterday's Man, further blends these genres by adding a seemingly unlikely jazz instrument: the steel drum. The result is an immensely likeable album combining world influences, vocals, and elements of traditional and modern jazz styles. Jazz fans that enjoy music with a world flavor should treat themselves to Yesterday's Man. It expands listeners' horizons as to what can be considered jazz. As this album shows, the genre can encompass varied sounds and influences, even instruments such as the steel pan. Yesterday's Man represents another solid effort from Saltman Knowles, and hearing their constantly developing sound is an enjoyable experience." 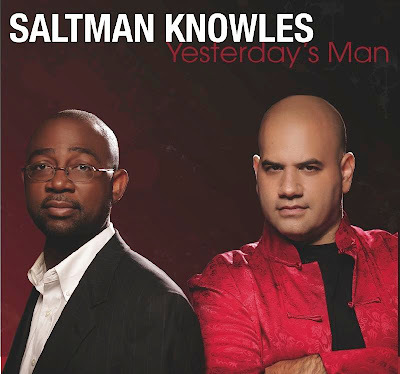 Saltman Knowles Releases Another Exciting New CD, "Yesterday's Man"
Bassist Mark Saltman and pianist Mark Knowles present their new CD release, "Yesterday's Man," hitting the streets with a complimentary mix of jazz and world music. What makes this release most uniquely distinctive is Victor Provost's soprano steel pan instrumentation laced throughout the compositions, combining elements of the traditional music of Trinidad with the intricate and melodic song craftsmanship that represents the musical style of Saltman Knowles. Vocalist Lori Williams-Chisholm returns to provide what JazzTimes calls "her exquisite wordless vocals" encased in a sultry, smooth sound. Saltman Knowles describes the story behind the new project, "Yesterday's man dressed well, and was articulate, well-educated, and less medicated. He had sophisticated tastes, integrity, and a much longer attention span, and most of all he listened to good melodic music. Yesterday's man possessed a lot of qualities that the man of today should be striving for and some of those qualities are on this recording." Saltman Knowles is a shining example of the tradition in jazz for long-term artist collaborations. This Washington DC group is known for serving up melodically alluring while rhythmically infectious music with a sincere and emotional collection of songs. Bassist Mark Saltman and pianist William Knowles, the leaders of this seamless blending of sounds, met while attending the composition program at the University of Massachusetts in Amherst and created a musical relationship with similar affections for the music of Billy Strayhorn, Horace Silver, Cedar Walton and Charles Mingus. The bond that binds the two is their mutual hunger for melodic content woven within a tapestry of harmonic emotional patterns. "It all starts with a singable melody because without that there is no glue. Then, we like to do something that sounds harmonically unique but has a groove. We enjoy writing music that evokes very strong feelings." 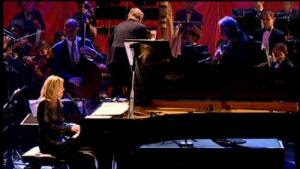 Saltman and Knowles spent time as artists in residence for the Kennedy Center Millennium Stage, received two grants from the DC Commission of the Arts and Humanities and won the Best International Jazz song in 2007 from Toronto Exclusive Magazine. Saltman Knowles have produced five CDs to date including; Stop, Look and Listen, Dream Catcher and Sandcastles all with their first group Soulservice. 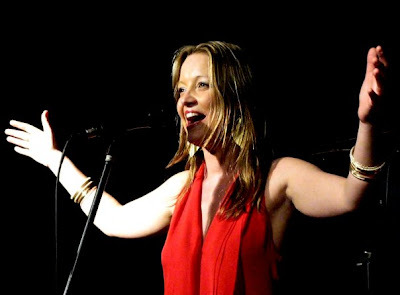 Then in 2007 they recorded It's About the Melody on Blue Canoe introducing the soulful appeal of vocalist Lori William-Chisholm. Their fifth release recorded in 2008, Return Of The Composer, brought them to the Pacific Coast label where they remain today. Return of the Composer continues to receive excellent reviews hitting #8 on the Jazz World Week Radio Chart. According to Saltman Knowles "What made this record different from our past releases was the use of vocalese (using the voice as another instrument). We're lucky in the sense that we can have both an instrumental sound like a straight swinging quintet as well as a vocal sound." The CD included drummer Jimmy "Junebug" Jackson, alto sax player Rob Landham and trumpeter Alvin Trask who all brought a cohesive musical unit with a strong underlying foundation, interesting melodic lines, spirited rhythms and superlative musicianship to the project. Saltman Knowles once again stayed true to melody and original composition on their latest recording, Yesterday's Man, to be released January 26, 2010 on the Pacific Coast Jazz label. On the heels of Return of the Composer, bassist Mark Saltman and pianist William Knowles have produced a sophisticated yet rhythmically driven statement with a fresh point of view that illustrates the importance of combining intricate song craft with introspective emotion. Lori Williams-Chisholm returns to provide what JazzTimes calls "her exquisite wordless vocals" encased in a sultry, smooth sound. But what makes this release most uniquely distinctive is Victor Provost's soprano steel pan instrumentation laced throughout the compositions, combining elements of the traditional music of Trinidad with the hard-hitting contemporary jazz swing. This amazing combination of jazz and world music textures is thematic, telling a broader story of the beauty of past traditions blending with a conscious, acoustic future. As Saltman Knowles describes, "Yesterday's man dressed well, and was articulate, well-educated, and less medicated. He had sophisticated tastes, integrity, and a much longer attention span, and most of all he listened to good melodic music. Even yesterday's gangsters pulled their pants up, and took your money-not your life. Yesterday's man possessed a lot of qualities that today's man should be striving for. Some of those qualities are on this recording." Yesterday's Man brilliantly presents a balanced combination of instrumental and vocal personalities that represent the continued commitment to melody and original composition that began fifteen years ago, when Mark Saltman and William Knowles first met in college. According to Matt Jaworski of MuzicReviews.com, "Saltman Knowles seems to have developed anddiscovered a fresh and inviting sound. Rhythmic variety, pocket, and interaction are all executed and contained in a manner that allows melody to flow unobtrusively back and forth, cradling listeners' earsfor the long haul." DrummerJimmy "Junebug" Jackson returns on this outing and exemplifies the kind of versatility and energy that characterizes each composition, complementing the bold bass work of Mark Saltman and the tasty piano comping of William Knowles. Beautiful horn solos and unusual unison combinations of vocals and steel pan are perfectly executed by Doug Pierce (trumpet/flugelhorn), Brian Settles (tenor saxophone), and Antonio Parker (alto saxophone). "Often our music is a sketch of personal situations in our lives or of those friends who are close to us. Music is our way of commenting about life." BLUE VELVET LOUNGE / THE FLAT POOL - DOWNTOWN L.A.
We are Back to Downtown Los Angeles at BLUE VELVET brought to you by NECTAR in association with the Best DJs in LA. WITH A BI-WEEKLY ROTATION OF THE BEST HOUSE DJS IN LOS ANGELES, HOLLYWOOD & O.C. CELEBRATING JANELLE PERRY'S BIRTHDAY! WOO HOO! IT'S SO ON! DJS - RUFF, IGNACIO DEMARIA, STEVE PRIOR, MIKIE SMITHERS & JAIME NARVAEZ. W/ LIVE PERFORMANCES BY MC KRM1NL DAMAGE ROCKSTAR & MC DYER, MAKING YOU DANCE ALL NIGHT LONG! Join us for dinner, then the beats go on at 10pm. Saxophonist George Garzone, guitarist Joe Cohn and bassist Tom Kennedy come together for one special evening to create a magical mix of music at the Palio Bar @ Piano Due, 151 West 51st Street in New York on Friday, January 29 from 8 pm - 11 pm. No cover charge. 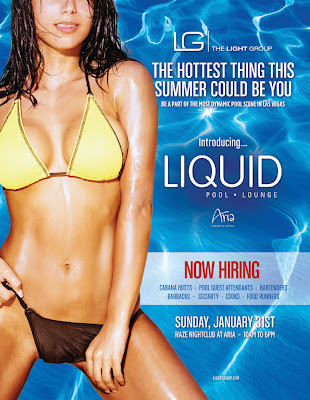 For information call (212) 399-9400. Joe Cohn, the son of the legendary saxophonist Al Cohn, is one of the today's most creative guitarists - melodically quick witted, harmonically advanced and relentlessly swinging. 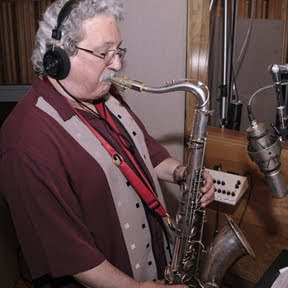 He has performed with father Al Cohn, Freddy Cole, Bob Mover, Nick Brignola, Artie Shaw, Zoot Sims, Buddy DeFranco, Al Grey, Warren Chiasson, and Carmine Leggio amonf others. Tom Kennedy has been a first call bassist on the music scene for more than 25 years. He has worked with numerous jazz veterans such as James Moody, Peter Erskine, Bill Watrous, Barney Kessel, David Sanborn, Eddie Harris, Nat Adderly, Freddie Hubbard, and Stan Kenton. An original member of the Dave Weckl Band, Tom is featured on all DWB recordings. 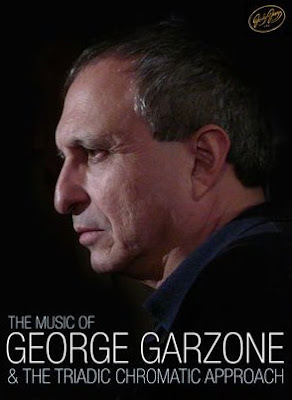 Additional credits include performance and recordings with such greats as Al DiMeola, Tania Maria, Michael Brecker, Don Grolnick, and Steve Gadd. 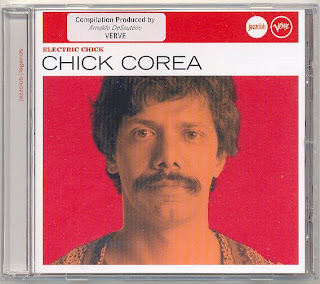 Electric Chick (Jazz Club) – Chick Corea – 在Last.fm 探索音乐Chick Corea – Electric Chick (Jazz Club) (Love Castle, Wind Danse 等). 10 首曲目 (72:42). Electric Chick (Jazz Club) 发行于2008年5月2日. Compilation produced by Arnaldo DeSouteiro for the Verve Music Group. 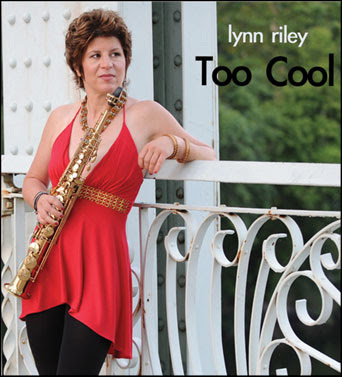 www.lynnriley.com - sample the music! "Lynn's signature style can be described as bold, melodious, rhythmic, sophisticated and sultry. She draws you in like nothing I have experienced. No matter what the venue, you feel like you are on your living room couch watching her perform." According to our records, you are living in California's 30th Congressional District. On Wednesday evening, President Obama will deliver his first State of the Union address. It comes at a critical moment.We must regroup, refocus, and re-engage on the vital work ahead. So let's watch it together at a State of the Union Watch Party in your neighborhood. We've hit some serious bumps in the road recently in our march toward change. We always knew it would be difficult, but this past week has definitely been a hard one, for all of us. But this movement didn't come so far without making it through some challenging times. It's at moments like these when we need you most. People are hurting. Our country is at a crossroads, and in communities like yours all across America we must all fight for the progress our families and businesses need to thrive. The President's resolve has never been stronger to keep fighting for health insurance reform, for lasting job creation, and to rein in the big banks and fight the undue influence of lobbyists. Wednesday's speech will be a pivotal moment for us all to get on the same page and continue the fight together. In just two days, OFA supporters like you will be gathering at State of the Union Watch Parties in living rooms and community centers across the country. You can share ideas and experiences -- and I'll be joining on the phone for a special strategy huddle before the speech. Jimmy Wyble, 87, a guitarist of great range who played with country-western swing bandleader Bob Wills as well as with the Benny Goodman and Red Norvo jazz combos, died of heart failure Jan. 16 while under hospice care at his home in Altadena, according to his friend and fellow guitarist Larry Koonse. James Otis Wyble was born Jan. 25, 1922, in Port Arthur, Texas. While working for a Houston radio station and playing guitar in western swing bands in the early 1940s, he and fellow guitarist Cameron Hill were invited to join Bob Wills' Texas Playboys. Wyble served in the Army during World War II and later led his own jazz quintet of accordion, clarinet, bass and drums along with his guitar. In the 1950s and '60s, he toured with Norvo, a vibraphonist, and with Goodman, the clarinetist and bandleader, as well as with Frank Sinatra during an Australian concert series. When not touring, Wyble was a studio musician in Los Angeles, a member of Tony Rizzi's Five Guitars group and a well-regarded instructor. 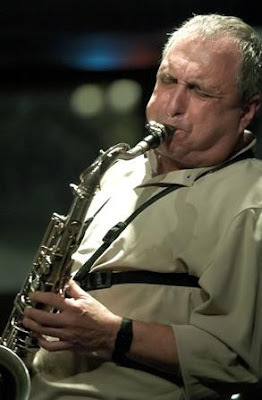 Ever since arriving on the New York scene in the mid-1970s, tenor saxophonist Ralph Lalama has been widely recognized as a Most Valuable Player. He's been a key soloist with the Vanguard Jazz Orchestra for more than 25 years, and a member of Joe Lovano's Grammy-winning Nonet since its inception in 1999. But it was only in 2008 that Lalama made his first U.S. recording as a leader, the well-received "Energy Fields" for Mighty Quinn Productions. Now he's produced a worthy follow-up, "The Audience," that will be released by Mighty Quinn on January 26. The new CD, produced by Jerry Roche, features Lalama's working piano-less quartet, his muscular tenor sound, and his uncompromising yet tradition-grounded approach to melodies and improvisation. "He doesn't hide behind anyone else's ideas, and speaks the truth. He can't do anything else and I love him for that!" writes Joe Lovano in the new CD's booklet notes. Of his simpatico quartet-mates -- guitarist John Hart, bassist Rick Petrone, and drummer Joe Corsello -- Lalama observes that "John is not only a great soloist, he's a great accompanist. And Rick and Joe just lay it down. It's easy to improvise over." The foursome have been working together off and on for the last several years, and made their debut on record with "Energy Fields." 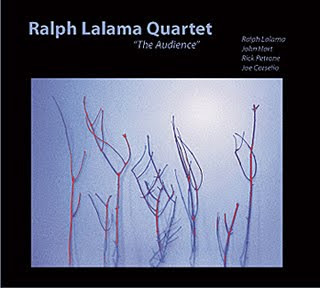 Lalama's repertoire choices on "The Audience" are a savvy mix of jazz classics and lesser known standards, including Wayne Shorter's "Marie Antoinette" (first recorded by Wayne on Freddie Hubbard's 1961 LP "Ready for Freddie"), Duke Pearson's "Minor League" (a minor blues that first appeared on the 1964 Grant Green album "Solid"), and "Love Thy Neighbor," written by Mack Gordon & Harry Revel and a big hit for Bing Crosby in 1934, although introduced to the jazz world only in 1957 by John Coltrane's version. "Kiss and Run" (from the 1956 album "Sonny Rollins Plus 4" and now recreated as a samba) and "I'm an Old Cowhand" (from Rollins' 1957 date "Way Out West") are nods to the tenor titan, while the ballad "Portrait of Jennie," covered by Nat "King" Cole, Clifford Brown, Wes Montgomery, Oscar Peterson and Freddie Hubbard, to name a few, is dedicated to the memory of his mother, vocalist Jennie Lalama. There's also a surprising jazzy take on Stevie Wonder's "Livin' for the City," transformed into a blues shuffle, with Lalama and Hart modulating up a third for each of their two solos apiece before returning to the original key for the out chorus. It's worth to note that the CD was recorded in a single session (on July 26, 2009) at the Ambient Recording Company in Stamford, Connecticut, under the aegis of producer Jerry Roche, with the musicians together in the same room, similar to the way the would setup to play a live gig in front of an audience. "Only a few baffles were used between instruments to create some isolation between the microphones," engineer Mark Conese comments. "This approach is similar to the way all recordings were made before the invention of multi-track recording. Where it differs is each of the eight mics used were recorded to their own track, enabling the musicians to have input on the final mix or balance of instruments. 32-bit 192kHz digital technology was used for recording and mixing. Vacuum tube mics and preamps as well as ribbon and modern condenser microphones were also employed, with no overdubs." 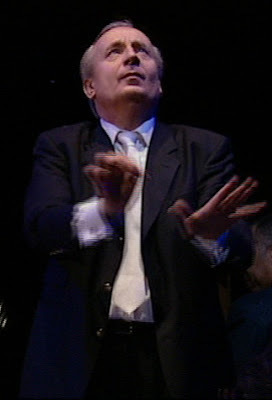 During the 1990s, Ralph Lalama made five highly-regarded albums under his own name for the Dutch Criss Cross label, beginning with "Feelin' and Dealin'" (1991); "Momentum" (1992), with Kenny Barron, which garnered a five-star review in the All Music Guide; and "You Know What I Mean" (1995). "Circle Line" (1997) earned four and a half stars in Down Beat and a spot in the magazine's "Top CDs of the Decade." The saxophonist's final Criss Cross project was "Music for Grown-Ups" (1999), with Richard Wyands, Peter Washington, and Kenny Washington. Lalama has also performed and/or recorded with Carla Bley, the Carnegie Hall Jazz Band (now the Jon Faddis Jazz Orchestra), the Joe Lovano Nonet (on three acclaimed Blue Note CDs), Carmen McRae, James Moody, Joe Morello, Buddy Rich, Mel Tormé, and his vocalist wife, Nicole Pasternak, among numerous others. As a jazz educator, the Yonkers, New York resident has been an adjunct professor for the past 20 years at New York University and for the past ten at SUNY Purchase. He also is a member of the Westchester Jazz Orchestra and its educational outreach program to jazz students in that New York county's public schools. And he has conducted clinics around the world, often during tours with the Vanguard Jazz Orchestra. Jazz fans can only hope that Ralph Lalama's exceptional Mighty Quinn outings mark a return to regular recording for this deserving-of-much-wider-recognition tenor master. 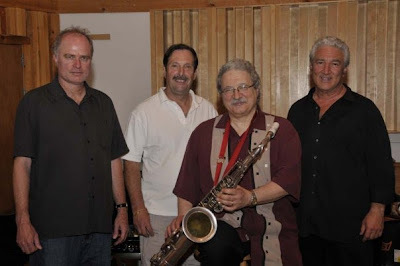 left to right: John Hart (guitar), Rick Petrone (bass), Ralph Lalama (tenor sax) & Joe Corsello (drums).